Debbie Brainerd is co-founder of IslandWood, a non-profit environmental learning center on Bainbridge Island. 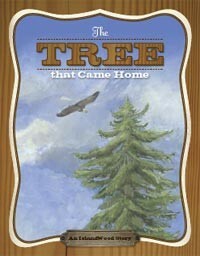 Brainerd is also author of a children's book with the title The Tree that Came Home (2008). The book tells the story of a Douglas fir that lived in the Puget Sound for over a century and saw many changes in its lifetime. The author says that the story was inspired by the 92-foot wooden beam that supports the ceiling of IslandWood's Welcome Center.